RU? Instant Reaction Review Podcast Ep. 15 - Ted - Are You Screening? 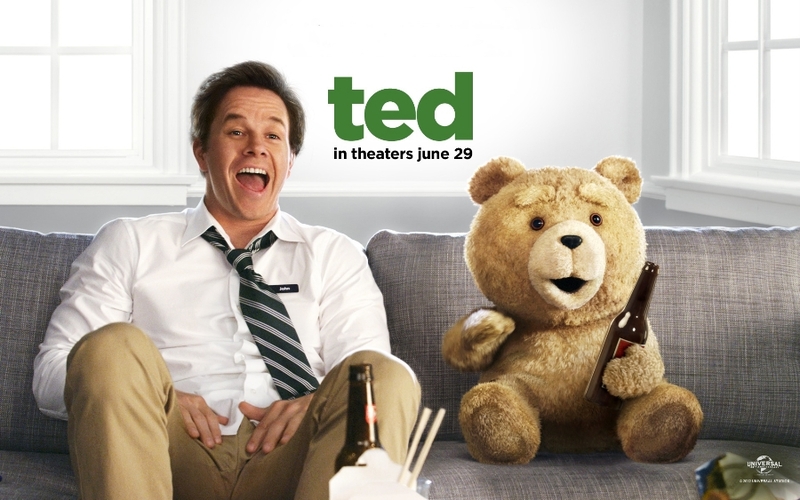 The universe conspired against us this week, and we were really forced to see Ted. This completely curious week in the middle of the summer fun, which was somehow set aside, apparently by studio agreement, to be the week with no action, and the gender-competition that is Magic Mike vs. Ted, found us not wanting to be completely surrounded by women. That just is what it is. Take that however you want. Continuing our odd tradition, Shane sounds very positive throughout the review, and I sound rather negative, and we have more or less the same rating anyway. It was the inaugural week of our really fancy setup, and we want to throw out a big thank you to all our listeners, because crazy as we are, we wouldn’t be springing for it if no one was showing up. That said, if you are listening, and enjoy the show, please follow the link below and subscribe, and rate us, at iTunes. Of course, listening in through the BlogTalkRadio site is great as well, but every next little bit helps a lot. Otherwise, let’s face it, we’re just two idiots who bought microphones and soundboards, and other electronic things we barely understand. And, speaking of the new setup, the show sounds great now. We had a bit of a glitch on connecting the new system to the live show, which meant we were talking over the intro music without knowing it, but that’s just the kind of high-tech, professional gig we’re running here. The upshot of the show left us less disappointed than we’d been in a while, though that might have had a lot to do with our expectations, and it turned out to be a fairly fun ride. As some of you might expect, I thought it got lost in its own vulgarity at certain points, but more importantly, it dragged a lot when it didn’t have a specific comedy routine to focus on and had to tell a story. Next week we’ll be having a go at The Amazing Spider-Man, and it looks like we’ll be getting to this one on Saturday at 3:00pm est for the live broadcast.